"STEAM" is the new buzz-acronym that means science, technology, engineering, arts, mathematics. Some schools advocate "STEM," erroneously thinking that art is somehow not part of the larger equation. STEAM recognizes that art can be the glue of a good integrated program. Some art educators hear the term STEAM and groan or bemoan new initiatives, new lessons, new curriculum, new methods, when instead they should be cheering! The unavoidable fact about it is that art teachers have been using "S.T.E.A.M." long before it was ever a term or recognized for its strength. You can't make a grid, tessellation, or clay form without touching on geometry. You can't explore Warhol or Da Vinci without talking about history. You can't illustrate a story without literature. You can't mix colors without experiencing chemistry and physics on some level because we already do it to one degree or another. It's why kids who have art outscore their peers on standardized tests. You don't need new lessons, the core connections are already there to be teased out. You may have done them for so long that you aren't even aware of it, but you do it every day! I would liken STEAM, in most art classrooms, to a manual shift car. You can get from point "A" to point "B" in first gear and beat anyone who walks or runs to your destination. Art does this naturally. We beat out all our colleagues with deeper, multi-sensory learning with a high degree of creative problem solving. But there are higher gears available that take a bit of coordination to use. You don't always have to use them, it's fun to cruise slowly with the windows open, but using higher gears (More integration) can be fun and offer new experiences. To get into second or third gear you could take the time to bring out a prism when you talk about color and light. You could draw from observation using science lab microscopes. You could do more pre and post writing, or reflect for a few minutes on a famous quote about art once a month, or once a week. You could tell a story about what was happening in history at the same time your artist of focus was working. By adding a bit more open ended writing or even a research paper annually, students can experience extensive cross curricular content in your "Porsche." I do these things, and encourage my peers to do so as well. The results have been pretty amazing and have saved my department. They take but a few minutes during my introductions or closures and can be done at every level. I do two or three major integrated projects a year like exploring pollen and seed forms as the basis of sculptural projects, requiring a written research paper about an artist from history and the work they produce that has inspired that student, a unit on perspective where we use rulers, t-squares and tie it all together with surrealism. I require that every student can recognize and categorize artwork by visual clues from the renaissance to pop art, but make it a detective-like game. Did you nod and think, "I already do that!"? Well then you are already a STEAM expert! 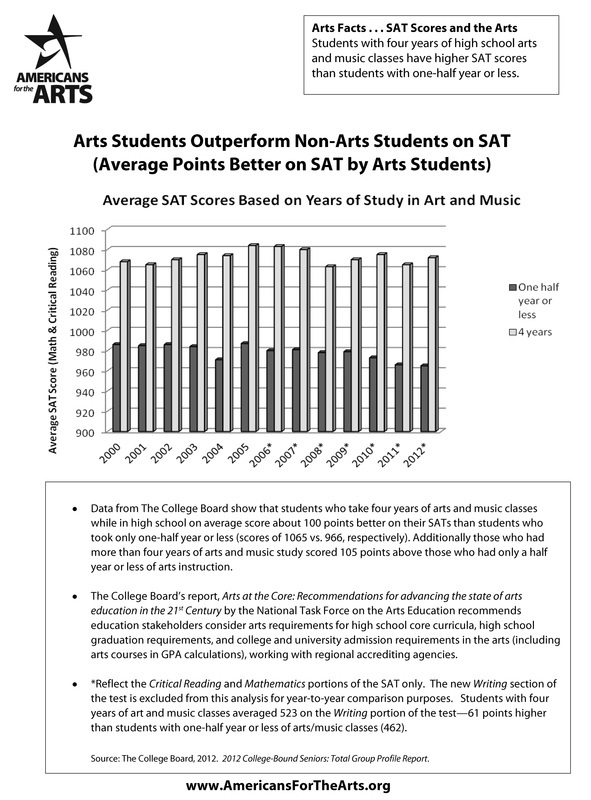 Art students outscore their peers by an average of 100 points on the SAT. My students average about 150 points higher than their non-art peers and I attribute this to my approach. It means my department is not cut while others are. It means my budget is stable and healthy. It means I am respected by my fellow teachers. "Steam? Yeah, I've been doing it for years. Nothing new."